A leopard print chiffon, and black thick matte satin. 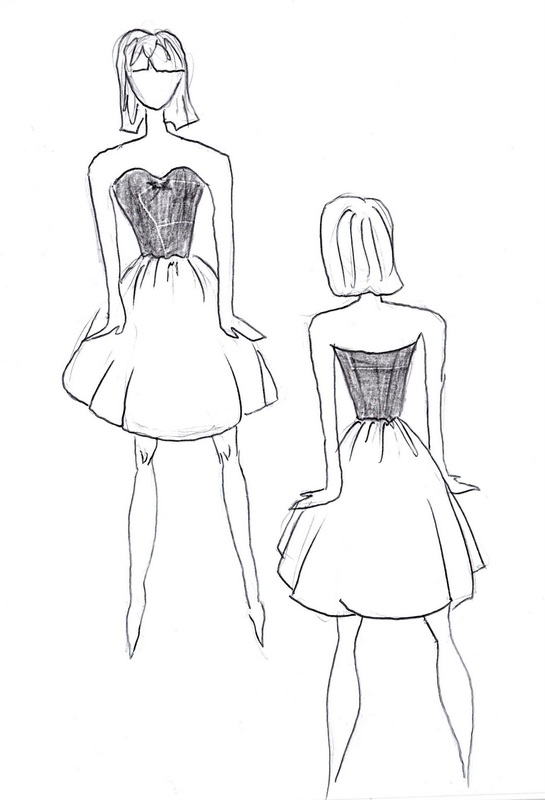 For all of the following designs the chiffon is for the skirt part and the satin for the top half. Pretty much self explanatory, bodice will be boned, skirt fully lined. A nice clean style, easy to wear. Cuts in at the back a little (not heaps) in the style of a racer back singlet. 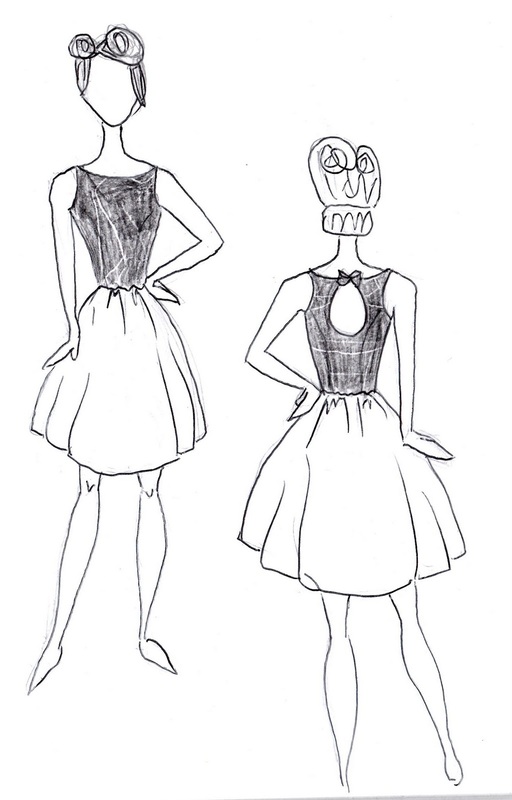 I made a dress sort of like this for Ange to wear when she hosted Quake Appreance. 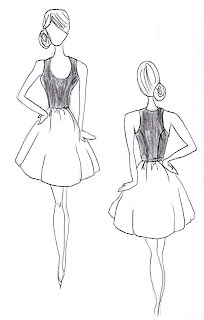 High neck in the front that sits wide on the shoulders, keyhole in the back with a bow at the top. So there it is, weeks 4's designs. 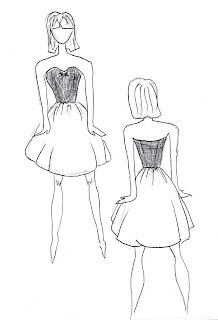 First person to email me (jennamclachlan@hotmail.com) with which style they would like can have it made up to their measurements for only $45. I have a feeling this one's going to go quick, I know how much you all love the leopard!